A few years ago, Lenel OEM'ed OnSSI (who OEM's Milestone, etc). Now, Lenel is changing the way it does VMS by introducing a new product named PRISM. Unlike previous offerings, PRISM has been developed internally by Lenel. 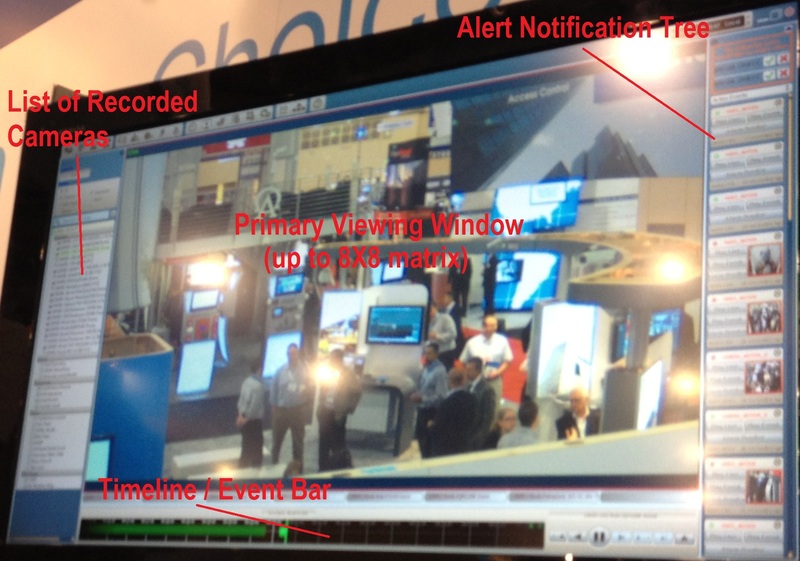 At the recent ASIS show, Lenel promoted the new platform prominently in advance of its upcoming release. However, despite the publicity, does PRISM improve over Lenel's previous offerings? In this note, we examine PRISM and contrast it to other. Prism allows for tighter integration with EAC product than SkyPoint: One of the overarching criteria for releasing PRISM was so the VMS would share common development architecture and modules with the OnGuard platform. ONVIF Support: At the present time, native camera drivers are limited to major manufacturers, but for all others will connect to cameras using ONVIF 2.0 or later. Licensing: PRISM is licensed per number of cameras - not according to IP or MAC. Unlike the SkyPoint predecessor that licensened according to device MAC address, PRISM only limits based on total number of channels licensed, allowing for greater flexibility in switching devices. Analytics Support: At the current time, PRISM only supports Lenel's 'VMD' (video motion detection) analytic that supports features like tripwire detection, movement within a zone of interest, and exclusion zones. No 360 support: No panoramic lenses or 360 cameras are supported in the current release. However, development with camera and lens manufacturers is ongoing. Cost: Pricing for the professional version - sized for midlevel, multiple server surveillance systems with 100+ cameras - is tenatively set at ~ $1500 professional base (installable on multiple servers) and ~ $110 per camera liscense. Ongoing maintainance costs are estimated to be 8% - 12% of the system software/license costs per year. 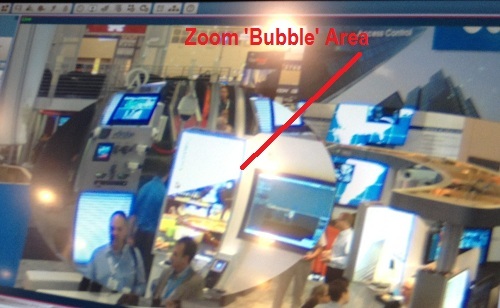 While PRSIM has been rumored and discussed for some time and shown at ASIS, the scheduled ship date has slipped to November 2012. Given its the release of an all new VMS, a complex task, it might slip again and it might need more upgrades to optimize the software. Lenel's previous VMS offering, named SkyPoint, was an OEM'd version of OnSSI Ocularis. Therefore, the features and function of SkyPoint matched OnSSI's offerings. However, the continued evolution of OnGuard increased the need for a more tightly integrated VMS offering more nimbly update and maintained in-house by Lenel developers. At the current time, SkyPoint will continue to sold by Lenel in addition to PRISM. SkyPoint will continue to be supported just as before. That platform has no 'End of Life' nor 'End of Support' date. The best feature of PRISM is Lenel's impressive (and fairly locked-in) access control customer base. That noted, success is not guaranteed even if you have existing customers (e.g., Lenel with SkyPoint, Cisco with video surveillance in general). The biggest risk is developing all the dozens (hundreds?) of features that high end VMSes have accumulated throughout the years. Even large end customers may only want one or two of them but those few can be the difference between choosing or rejecting a VMS. While we will wait to see the final specification once released and will need to see it in action, the big question will be how many critical elements are missing that will impact selecting PRISM.